Bordeaux is a forgotten gem. Often ignored by visitors to Paris, Riviera and the Loire. 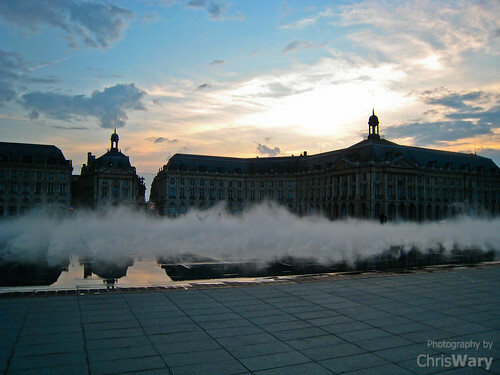 Why should you include Bordeaux on a visit to France? Here are some interesting Bordeaux facts and property updates …. First, which Region Is Bordeaux In? The city is located on west coast of France at the foot of the Gironde Estuary in the region known as Aquitaine. The Bordeaux location is around 500 km (310 mi) southwest of Paris. The central city of Bordeaux proper has a population of 241,287 (2012). Together with its suburbs and satellite towns Bordeaux is the center of the Bordeaux Métropole, with 737,492 inhabitants (2012) and is the 9th largest in France. What is Bordeaux famous for? Bordeaux is positively famous as a wine region; current and aspiring wine lovers flock to this corner of France, and it’s easy to get caught up in the nuts and bolts of the fine offerings in this area. However, Bordeaux is a French destination even aside from the wine. Bordeaux is an enticing alternative to Paris, offering the advantages of a city with some of the localism it’s easy to miss in a world capital. More Bordeaux facts: Bordeaux is also an incredibly walk-able city, and the combination of architecture, Bordeaux’s river: the Garonne river splitting the right and left bank, and the street layouts make the entire experience one of visual charm. Most importantly though, Bordeaux would not have been able to build such a fine wine reputation if the region didn’t have the food to complement its vintages. From main dishes to sumptuous desserts, Bordeaux is a hot spot for any couple that enjoys great food – especially those who want to remain active, do some bicycling, and take advantage of all the things to do in Bordeaux. The train from Paris is an efficient, hassle-free way to travel to Bordeaux. The TGV runs from Montparnasse in Paris to Bordeaux St Jean every hour; the journey averages three and a half hours and tickets are about $70. Many of the smaller vineyards may not be open year round for tours, but if you call them in advance, they are often willing to arrange a short tour or informal tasting for your group on a negotiable price. Although no metro like Paris, the city of Bordeaux has an extensive and modern public transportation system which includes buses, trams and a ferry along the river Garonne. The trams are the system’s newest transportation network, beginning service in 2003. The major routes run seven days a week from 5 AM to 1 AM. Here are things to do in Bordeaux: it is best viewed from the river and a one-hour boat trip will cost you about £9. Or you could hop on the £9 cabriolet bus tour (www.bcd-bordeaux.com) which departs regularly from opposite the Tourist Office (www.bordeaux-tourisme.com) and has an English audio commentary. The centre of Bordeaux is a UNESCO World Heritage site and renting a bike is one of the best ways to see the old town. The waterfront has designated bike lanes as well as wide, elegant, pedestrianised gardens and walkways. On the first Sunday of the month car traffic is banned and guided bike tours take to the streets! There are a wide range of hotels in Bordeaux – according tho Trip Advisor the #1 hotel in the heart of Bordeaux is Yndohotel. For a complete list of recommended hotels >> Trip Advisor Bordeaux Hotels. The Urban Community of Bordeaux also known by its French initials CUB, is the community structure gathering the city of Bordeaux and some of its suburbs/communes. There are 28 communes in the Urban Community. Culture – Arts, Science and Wine! The aim of this first festival is to explore and experience different aspects of the relationship between arts and science. From the 17th until the 29th November 2015, take a trip with FACTS and discover original artistic creations, both on the university campus site and in numerous cultural locations throughout Bordeaux. No visit is complete without a Bordeaux wine tour! Bordeaux is synonymous with quality wine: a glass of red Bordeaux represents the best in French wines. For example, enjoy a visit to Bordeaux vineyards and enjoy a glass of Médoc, Saint-Emilion, Graves et Sauternes and Entre-deux-Mers. Bordeaux Tourist Office can arrange a variety of tours to various wine areas – more here. Bordeaux has been occupied for thousands of years. First by the Celts, then by the Romans, in 60 BC. After the fall of the Roman Empire came hundreds of years of strife and chaos. It returned to French Rule after the Hundred Years War. Turmoil was order of the day during the French Revolution. Sauvignon Blanc is an ancient variety thought to have originated in Bordeaux, before spreading to the Loire Valley and beyond. The Gironde estuary, the largest in Europe, is formed by the meeting of the Garonne and Dordogne rivers. In 1787, Thomas Jefferson visited the Bordeaux vineyards and fell in love with the region and its wine. He became an unofficial ambassador to Bordeaux and contributed to the export of Bordeaux wines to the United States. Bordeaux region produces about 960 million bottles of wine every year from about 13,000 grape growers. Buying a Property in or around Bordeaux?